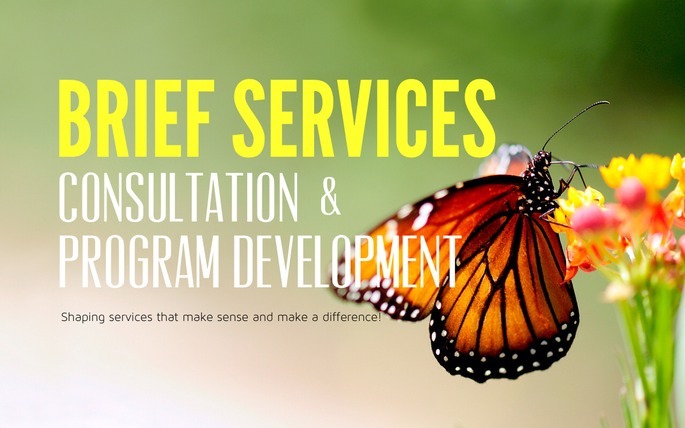 Consultation Services serve as a means to continue to foster a culture of learning and practice within an organization congruent with contemporary brief therapeutic approaches to services. Consultative services are competency-based, collaborative, and available in-house or via Skype. Program Development involves collaboration in regards to shaping your service delivery model, structures, paperwork, data collection and evaluation. Emphasis is on the co-shaping of services that makes sense for people, put service delivery up front, provide multiple entry points in people time of need and are in harmony with agency practice ethics and mission.